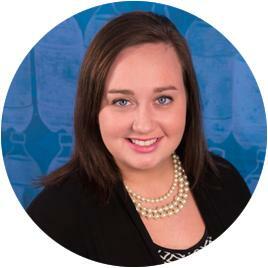 Anna first joined Stahancyk, Kent & Hook as a law clerk in the summer of 2012. Before working at Stahancyk, Anna interned at the Multnomah County District Attorney’s office in the Neighborhood Unit. She spent time in each neighborhood sector working with DAs on issues ranging from gang violence to TriMet violations. While at Oregon Law, Anna served on the leadership for the Moot Court Board and held the position of Senior Editor on the Oregon Review of International Law. She spent her last semester in law school as a client advocate in the Domestic Violence Clinic where she represented victims of abuse and made court appearances in Lane County Circuit Court. Prior to law school, Anna interned in the public sector and for local non-profit organizations. She spent a semester working for Senator Ron Wyden in Washington, DC, a summer at the Democratic Party of Oregon, and another summer with Focus the Nation. Anna is an active member of the Oregon State Bar, Washington State Bar, and Oregon Women Lawyers. She is also a member of the Oregon New Lawyers Division. Anna is a native Portlander and a parishioner at St. Mary’s Cathedral in downtown. As of July 2017, she joined the University Club of Portland Membership Committee. In April 2017, she was elected as a Board Member of the South Portland Neighborhood Association. Anna is particularly bonded to South Portland as she both lives and works in the neighborhood. The goal of neighborhood involvement is to build inclusive, safe, and livable communities. Anna is currently a member of the Gonzaga University Young Alumni President’s Council and a member of the Multnomah Athletic Club’s 20s/30s Committee. She also stays involved with the mentorship program at St. Mary’s Academy. In 2015, Anna eagerly joined the Italian Business Club as one of its first female members. She was honored to accept the invitation from a fellow Italian lawyer in town. This Club began in 1952 in Portland as the all-male Italian Businessmen’s Club with the objective of charity, friendship, building business contacts, and promoting Italian heritage. In 2016, Anna was elected to the IBC Foundation Board. As a board member, she is responsible for the annual IBC Foundation Scholarship which provides funds to college students of Italian heritage who are advancing in a degree related to Italian study. In April of 2014 Anna, along with Shareholder Laurel Hook, gave an innovative presentation to students at Ainsworth Elementary School’s Career Fair in which they used Goldilocks and the Three Bears to illustrate how courts make decisions and the role attorneys play in the process. In the fall of 2012, Anna volunteered with the Portia Project by helping female inmates at Coffee Creek Correctional Facility complete their divorce paperwork. During her second year in law school, she volunteered as a community mediator in Lane County Circuit Court. Anna played four years of Division I golf for Gonzaga University and she is the former two-time club champion at Riverside Golf and Country Club. Anna still enjoys a competitive golf match. She also believes that she has the best of both worlds when its comes to cheering for her alma mater’s sports teams: Gonzaga basketball and Oregon football. Anna was recently named to the Top 10 Under 40 list by the National Academy of Family Law Attorneys. She was a Wayne Morse Fellow for Law and Politics and received a scholarship to the University of Oregon School of Law as part of her fellowship. In her third year of law school, Anna was awarded the Orlando John and Marian H. Hollis Scholarship as a student who excelled in civil procedure and conflict of laws. “Anna Friedhoff at Stahancyk, Kent & Hook is an excellent lawyer. She has the highest skills and is extremely smart. She is very responsive, and she has a support team that is wonderful and efficient. I sought her out when my ex-husband was not following our parenting plan. She was able to end years of worry on my part and put a plan in motion that was everything I could have needed and more. She really did have my children’s best interests in her heart. I have used another top firm in Portland, and they did a good job, but Anna has now set the bar very high. I feel very secure knowing she is just a phone call away. Thank you Anna!!! — A. “Anna was extremely professional. She was quick to respond to any concerns or questions. She gave great advice on how to respond to situations and how to conduct myself in a way legally that would not hurt my case. I would recommend her to anyone that is going through a divorce. She is amazing and a pleasure to work with especially in such a stressful situation.” – J. “I initially had a local self-proclaimed “bulldog” handling my divorce who unfortunately was too friendly with the opposing counsel. My case was always pushed forward a few more weeks, and it was challenging to get a hold of him. I explored switching attorneys and was pointed in Anna’s direction. From the moment she took my case she handled it with a strong fund of knowledge, true personal understanding (I never felt like mine was just another case), and persistent energy. She is a creative problem solver, assertive when the moment dictates a call for strength , and has an experienced team behind her. My case would not have been finalized with such an acceptable result were it not for all of her diligence. Thank you, Anna, for getting me through this challenging phase on my feet and properly prepared to move forward.” – H.
“Anna is an incredible lawyer and person. Very dedicated to her work and cares for her client’s rights. Divorce can be a difficult, stressful, emotion time of life. It is important to have someone like Anna to stand next to you and help you provide with a sound strategy to cope with the situation.”- A.